Idea Factory is living up to their name, or at least, the factory part. 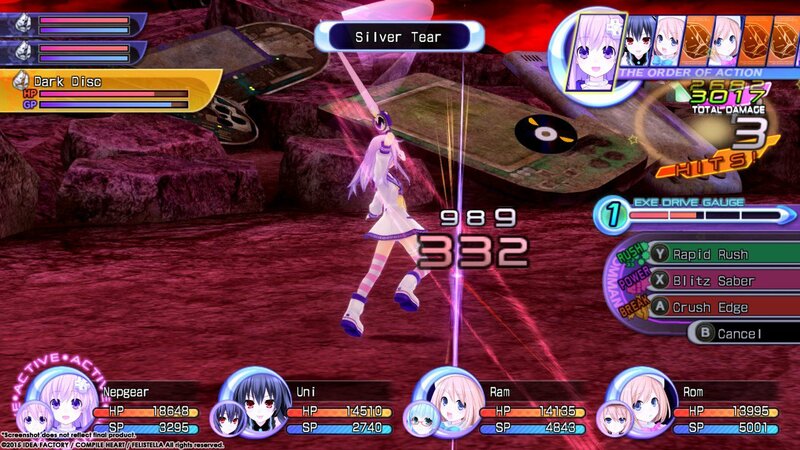 With assembly line fervor, they continue to crank out one Neptunia game after another, and often—like in this case—it’s the same game. Re;Birth 2 was originally the second Neptunia game on the PS3, then a couple of years later, it got ported to the Vita, and now it’s ported again and is available to PC users. That begs the questions, “Do PC users even WANT to play JRPGs?” Apparently somebody does, because these things keep bringing them over. Since this is simply a port of the Vita remaster, the plot remains the same. The Console Patron Units, or “CPUs” are goddesses of a world where gamers worship the personification of different consoles. 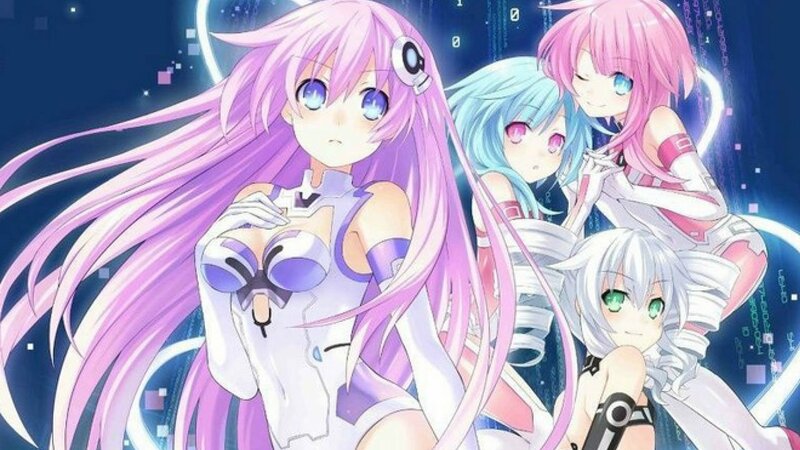 When the main CPUs get kidnapped and held prisoner, it’s up to one little sister, Nepgear, to gather the other little sisters together and work to free the original goddesses from an evil organization called ASIC that promotes software piracy. Nope, I’m not making ANY of this up. Perhaps the most surprising thing about the port from Vita to PC is how uneven it is. You’d expect that coming from a handheld to a full on computing device, it would be smooth sailing with full resolution graphics and ridiculously smooth framerates. It isn’t. True, Idea Factory has brought the character portraits up to a higher resolution, and they’ve done the same for the game environments. They’ve even raised the framerate to a snappy 60 per second. On the other hand, they’ve kept the cinema cut scenes to a lower, fuzzier resolution, and the occasionally low framerates of the Vita version in combat have been replaced with screen tearing, which is incredibly surprising in this day and age for a not particularly resource intensive PC game. You can play with a mouse or a DualShock 3 controller if you like, and that latter choice is recommended, since the game was originally built for PS3s and works just fine. The layout of the menu is identical to its console counterpart, and doesn’t really lend itself well to a mouse/keyboard combination. What really hurts this game is what’s hurt every other Neptunia game following the first; the cost cutting measure of aggressive asset reuse. The same portraits, the same music, the same character models, the same backgrounds are all in evidence as they’ve appeared in numerous Neptunia games from their idol simulator to their latest turn-based strategy spin off. Plot aside, there’s a very literal feeling of, “If you’ve seen one Neptunia game, you’ve seen them all,” since so many game elements are used over and over again from one title to the next. The other problem element is that this budget JRPG is small in scope, not just resources. 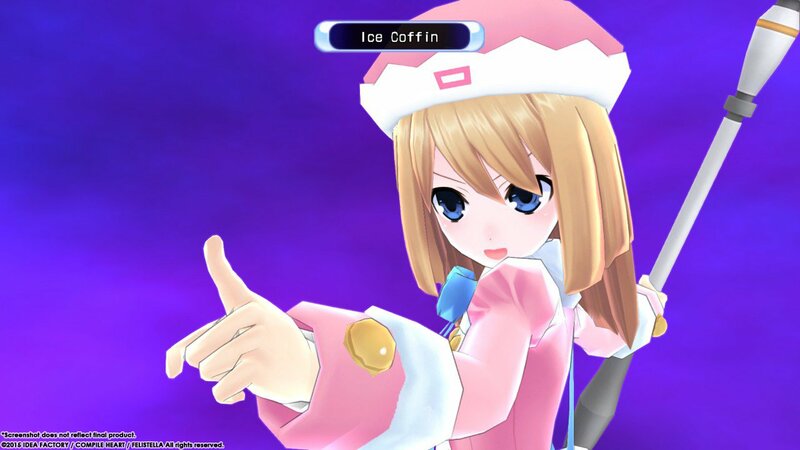 There are still fairly large, sprawling JRPGs with modest budgets, such as Bandai Namco’s Tales games, but Neptunia is still a basic dungeon crawl with the occasional boss fight, punctuated by portrait/text based cut scenes. Side-quests consist of collect-a-thon and kill list missions from a guild, but all of this is limited to the same dungeons that the campaign takes place in. This isn’t a big, expansive open world with lots to do, this is a barebones JRPG that maximizes its environments by giving you more tasks to revisit the same dungeons. If, for some reason, you’re in a situation where you love JRPGs, but somehow only have access to a PC, then Re;Birth 2 is a budget alternative that will scratch that itch. It’s only $30 on Steam, which makes it $10 cheaper than its Vita sibling, but it will provide quite a few hours of fourth wall breaking, meta-comedy about the game industry, as well as lots of fan service, if you’re into that sort of thing. 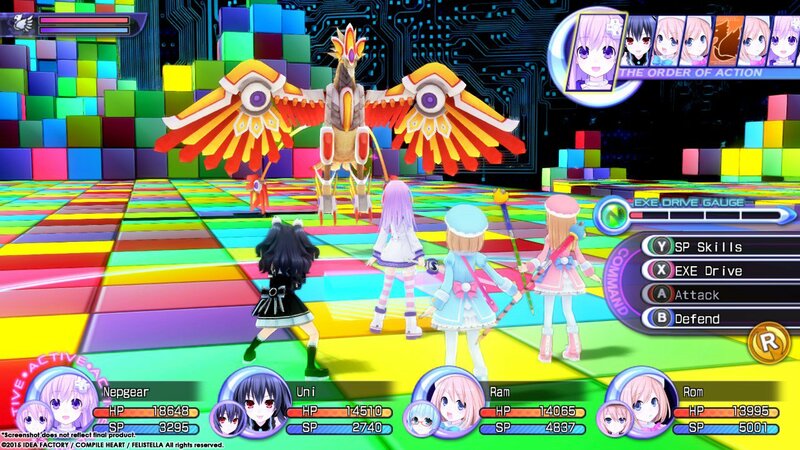 There are still fairly large, sprawling JRPGs with modest budgets, such as Bandai Namco’s Tales games, but Neptunia is still a basic dungeon crawl with the occasional boss fight, punctuated by portrait/text based cut scenes.